How to Shortlist Promotional Gifts! 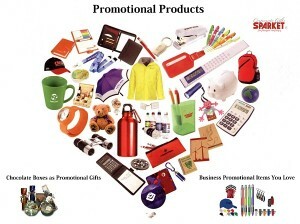 As the name suggest the purpose of promotional gifts is to promote your idea, product or concept through promo gifts! Let us start from the beginning to understand the whole exercise in easiest possible manner. You have an existing or are launching new products and you need to promote the same to increase awareness, trials and ultimately regular sales. First of all you need to arrive at the budget for below the line activities so that you can apportioned the same depending on the mileage each one of the activity assures you on the paper. Depending on your industry, consumers, customers, partners, influences and associates you shortlist and thereafter decide the few of the most important constituents which you need to address at the initial stage. Once this clarity is with you then the next important step is to involve your merchandise partner to understand your goal, budget and timeline to suggest you various choices to align with your promotional plans. Your merchandise partner over the years has seen various promotions run by the different industries and companies and have fairly good idea of what works and the darker side of the plans created in the cabins. They will try to understand your brand’s and simultaneously your target audience’s profile and can suggest you rightly (if you hear and understand properly) where it can boomerang due to budget constraints. They can even suggest you cheaper alternatives due to their experience and expertise over the years across various domains. If you make them your true partner for the merchandise activities then they can even suggest you various other products and ideas which will make your product take off. However you need to identify and select the merchandise partner who understands promotions to help you design and execute the whole program. Before you learn how to shortlist the promotional Product you need to learn how to shortlist the promotion partner for maximum mileage. Further if you can motivate the merchandise partner then they will not only give you many more ideas but also make your campaign a great success on the ground. Merchandise partner can help you source quality product at lowest possible price well in time to help you win at the market place. Their advantage is more sales for their company as your product and company grows and continues to value them as a resourceful partner. Their knowledge of products, pricing, timely delivery and quality will help you in selecting the best choice for you, your product and the company. Promotional gifts covers a vast range of products consisting of “Everything from A Pin to A Plane” and hence a knowledgeable partner is half battle won. Here you are using their expertise, knowledge and involvement at every steps to avoid repeating costly mistakes. Now here if you select a partner who is a typical trader and not the merchandise partner then the blame squarely goes to you and not to the wisdom explained above! Promotional Products: The Guideline How to Short List!